10 Designers, 2 Days, 1 Big Sale! 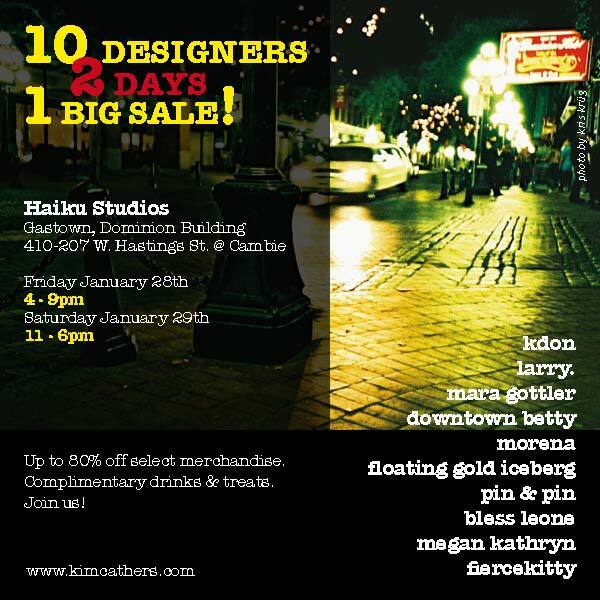 Starting on Friday January 28th, I will be hosting a mulit-awsome, multi-designer sale at Haiku Studios. You can be a part of this event and witness for yourself a room full of amazing women with talents spanning the realms from knitting, sewing, metal working, crocheting, silk screening, and more! This fabulous group of artisans will be showcasing their work for 2 days, offering all kinds of deals to spark up those January blues! We invite you to come join us for a complimentary beverage, some nibbles and good times!